The International Contemporary Ensemble (ICE) is an artist collective committed to reshaping the way music is created and experienced. As performer, alchemist, curator and educator, ICE explores how new music intersects with communities across the world. From youth in schools to audiences in established and alternative venues, ICE engages its listening public in the spark of musical invention. ICE’s thirty-five musicians are empowered through curated concerts that promote their virtuosity, versatility and expressive range. The members of ICE are featured as soloists, chamber musicians, commissioners and collaborators with the foremost musical artists of our time. Emerging composers have anchored ICE’s programming since its founding in 2001. ICE’s recordings and digital platforms highlight the many voices that weave music’s present. Founded by flutist and MacArthur Fellow Claire Chase, ICE has received American Music Center’s Trailblazer Award and ASCAP/Chamber Music America’s Award for Adventurous Programming, and was also named Musical America’s 2013 Ensemble of the Year. 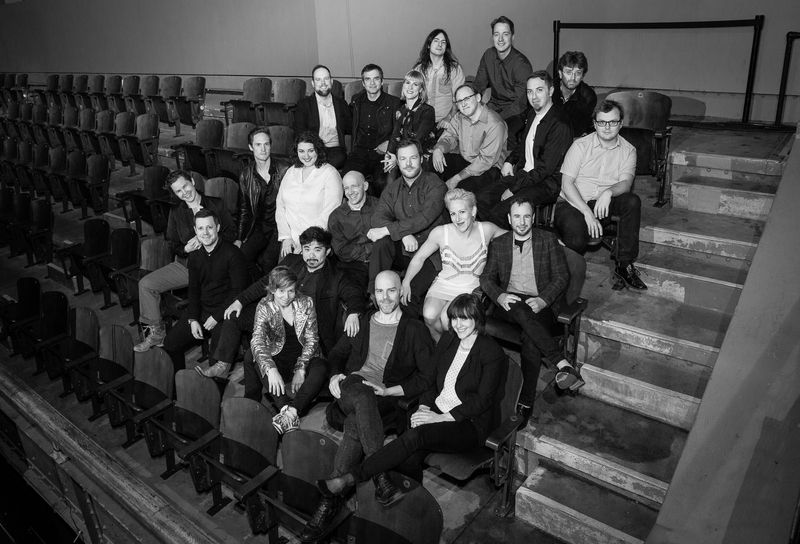 The group currently serves as ensemble-in-residence at Lincoln Center for the Performing Arts’ Mostly Mozart Festival, and previously led a five-year residency at the Museum of Contemporary Art Chicago. ICE has been featured at the Ojai Music Festival since 2015, and at festivals abroad such as Acht Brücken Cologne and Musica Nova Helsinki. Other recent performance stages include the Park Avenue Armory, Nagoya Symphony Hall, ice floes during Greenland’s Diskotek Sessions, and boats on the Amazon River. From 2011 to 2014, the ICElab program created dozens of new works that grew from close performer/composer collaborations. OpenICE, with lead funding from The Andrew W. Mellon Foundation, today brings the full scope of ICE’s programming and commissioning to broader audiences around the world in free concerts and online. In 2015, the EntICE education project was launched, uniting leading composers with youth ensembles in new works developed and performed side-by-side with ICE. Inaugural EntICE partners include The People’s Music School Youth Orchestra (Chicago) and Youth Orchestra L.A. Yamaha Artist Services New York is the exclusive piano provider for ICE. Read more at iceorg.org.